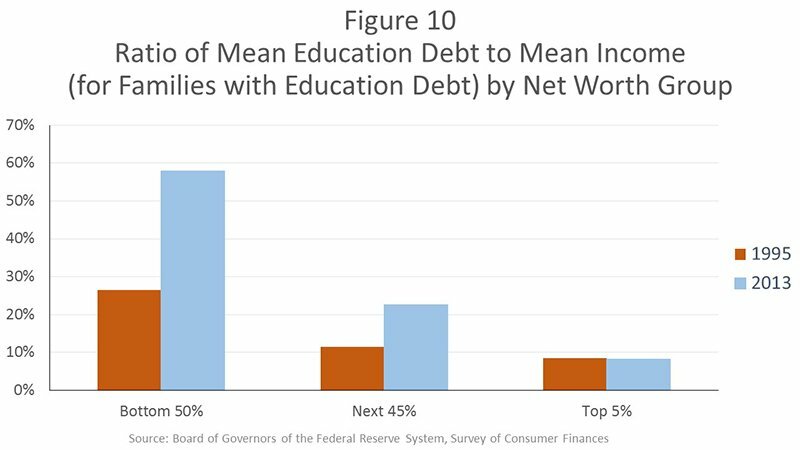 Figure 10 shows that from 1995 to 2013, outstanding education debt grew from 26% of average yearly income for the lower half of households to 58% of income. 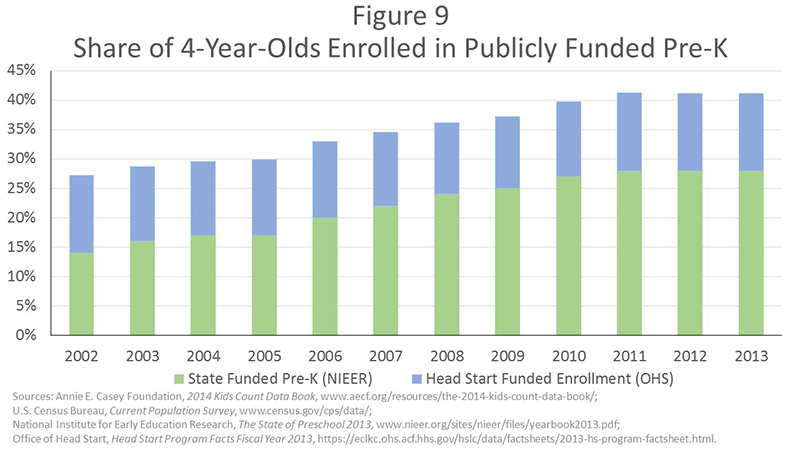 The education debt burden was lower and grew a little less sharply for the next 45% of families and was much lower and grew not at all for the top 5%. 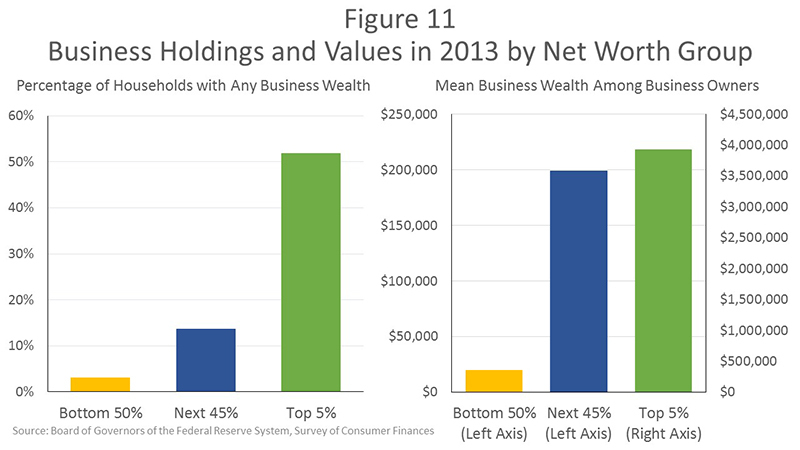 Figure 11 shows that slightly more than half of the top 5% of households have a share in a private business. The average value of these holdings is nearly $4 million. Only 14% of families in the next 45 have ownership in a private business, but for those that do, this type of wealth constitutes a substantial portion of their assets–the average amount of this business equity is nearly $200,000, representing more than one-third of their net worth. Only 3% of the bottom half of households hold equity in a private business, but it is a big share of wealth for those few. 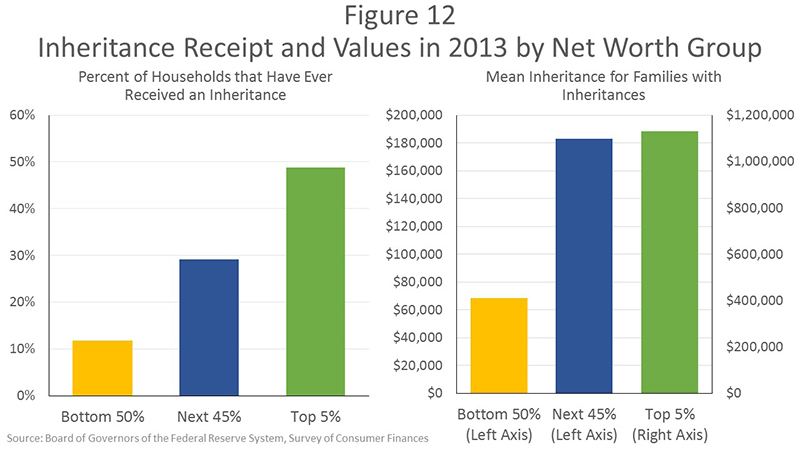 Figure 12 shows that half of the top 5% of households by wealth reported receiving an inheritance at some time, but a considerable number of others did as well–almost 30% of the next 45% and 12% of the bottom 50. 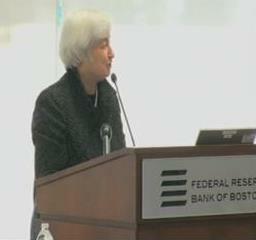 Just over half of the total value of inheritances went to the top 5% and 40% went to households in the next 45. Seven percent of inheritances were shared among households in the bottom 50% , a group that together held only 1% of all wealth in 2013. If you’re looking for a good-to-go measure of income inequality to use with your students, check out our DataPost series that includes updated data and visual explanations of this important topic. Using median household income, learn about a method to track trends in income inequality. Building on the overall household distribution, learn about the trend in median household incomes as a precursor to income inequality. Learn about the U.S. household income distribution as a jumping-off point for understanding income inequality. This entry was posted in News & Current Events, Research, Speeches & Presentations and tagged inequality. Bookmark the permalink.